It’s that time of year again to start thinking about your vegetable garden. Last year, I had the pleasure of gardening in my neighbor’s side yard. It was about a quarter acre, and I had the goal of growing as many veggies as I could in the season. Here are a few tips and tricks for maximizing garden space, gleaned from my garden last year. 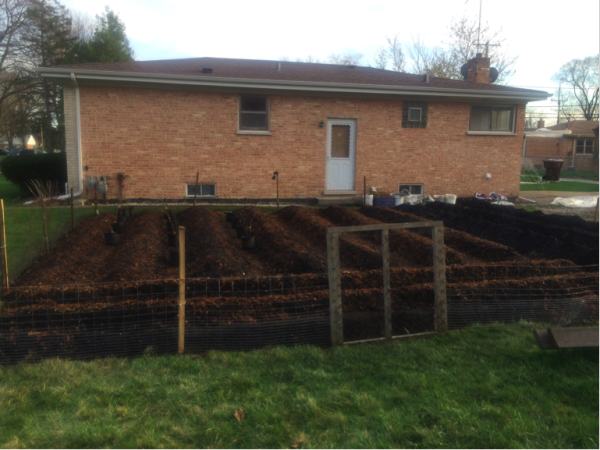 Maximize surface area with mounded beds. Rather than gardening a flat surface, create mounds from your soil and compost mix as get your garden ready for planting. With mounded beds, you can plant a row (or two!) on both sides of the mound as well as the top of the mound. 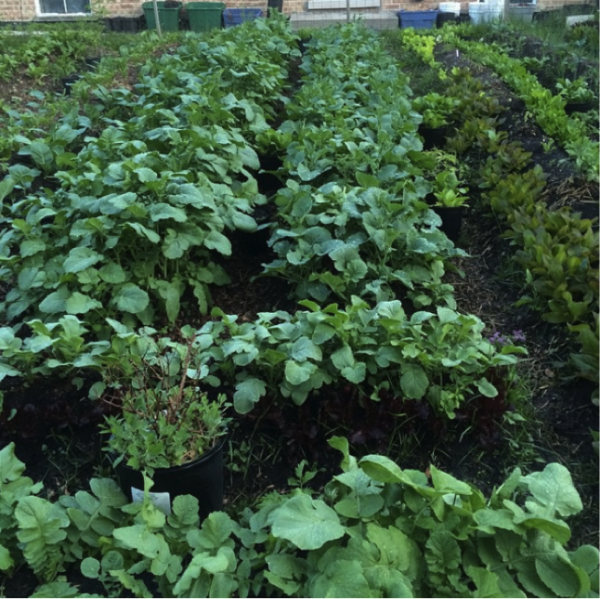 When you’re planning the layout of your garden, try to imagine what your mounded beds will look like when they are full of luscious vegetables. I forgot to do that, and some of the footpaths I left between beds became overgrown and unwalkable. 2. Intermix the plants in each row. For example, you can plant your more quickly growing, lower lying plants such as radishes, baby lettuce mixes, arugula around your tomato or pepper seedlings. While your tomatoes are growing taller, you can enjoy your radish or greens harvest. It won’t be a problem when the taller, bushier plants have grown full and start to block the sunlight from your lower lying plants, because you’ve already harvested them. This is a way of having successive plantings: you will get multiple harvests from one row. 3. Be okay with a rambunctious garden. Growing plants close together and in succession might look a little bit wild, but this wildness can serve a purpose. For example, corn is a perfect trellis for bean plants. Plant the corn early, and then later, when you are ready to plant beans, plant them near the corn. The beans will grow up and over the cornstalks. It will be a little wild-looking, but both the corn and beans will do well together and your trellises will not only serve your beans plants, they will give you ears of corn at the end of the season! 4. Get good at sharing and storing your harvests. 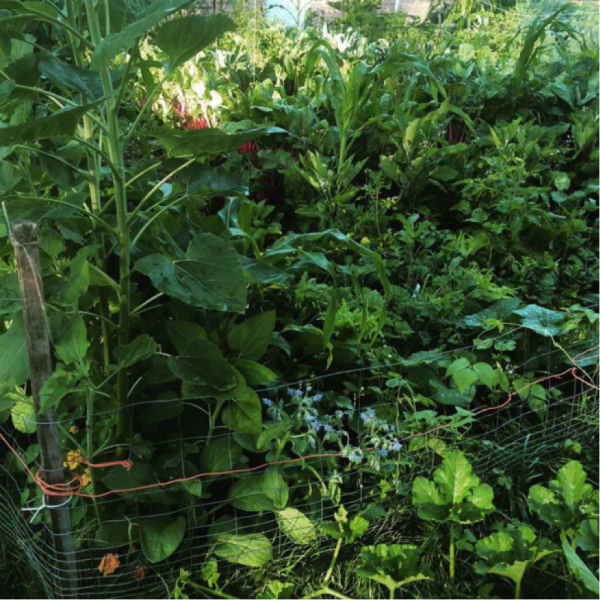 In a big or small backyard garden, you can grow quite a bit of food. Sometimes, a lot might be ready to harvest all at once. If you have more harvest than you can eat in a week, learn the best way to store it. Some veggies you can just pop in a freezer bag fresh, others are better cooked first or canned. Kale is easy to freeze. Just wash the leaves, shake them dry, and put them in a plastic resealable baggie. Before you seal it, roll the bag on the counter to get all the air out. It will nearly be vacuum-packed. Frozen kale can be added to soups, smoothies, or stir fries later in the year. Another great way to enjoy your excess veggies is to invite over your friends, family, or neighbors for a grill out. Your “party favors” can be a stroll through your garden with a bag to fill up with the veggies of their choice. The most important ingredient to any garden besides water, sunlight, and healthy soil is you enjoying your time there. Don’t forget to marvel at the genius of the tiny seeds that sprout leaves, bloom, and burst with so much tasty nutrition.